A former chairman of the Economic and Financial Crimes Commission, Nuhu Ribadu, has denied receiving any money from the embattled former National Security Adviser, Sambo Dasuki. 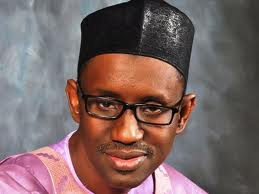 In a statement Tuesday, Mr. Ribadu said those trying to discreetly plant a story against him in the media should come forward with documentary evidence to suggest that he collected money from Mr. Dasuki or had made some refunds to government. “My attention has been drawn to insinuations in certain quarters of my purported repayment of some monies I was allegedly given by the former National Security Adviser, Col. Sambo Dasuki (rtd),” Mr. Ribadu said. “For the record, let me categorically state that I had nothing to do with the former NSA while he was in office. I cannot remember meeting him at anytime while he held sway. Mr. Dasuki is currently facing prosecution for his alleged involvement in a $2.1billion arms fraud when he was the NSA. Mr. Ribadu said he did not receive any money from the former NSA either directly or through a proxy. “There is therefore no reason for me to make any refund,” he said.